When was the last time you walked through a Disneyland park and you didn't know what was waiting around the corner? When you go to Disneyland Resort often, you know what lies around every corner and in every nook of the park. It has been a long time since we have experienced the "first visit" feeling, but that is how we felt when we experienced the new Cars Land. And in typical Disney fashion, there is so much detail you will have to go back again and again to see everything. On the walk from Buena Vista Street to Cars Land, guests will pass by the beautiful new icon of the park - a replica of Carthay Circle Theater. Carthay Circle Theater is significant to the history of Walt Disney because this is the theatre where Snow White made its theatrical debut in 1937. Unfortunately, the original theatre was demolished in 1969, along with a big part of Hollywood history. But luckily for guests of Disney California Adventure, the imagineers have out done themselves with this beautiful rendition of the theater. Within the Carthay Circle Theater are two new restaurants and a lounge: Carthay Circle Restaurant, Carthay Circle Lounge and 1901 (the year the Walt Disney was born). Following in the exclusive footsteps of Club 33, 1901 is only open to members of Club 33. But don't despair; as of June 15, 2012, Disneyland will begin taking reservations for the Carthay Circle Restaurant. Reservations can be made 60 days in advance. Now you have a choice: do you go straight to go into Cars Land via Route 66 (Cars Land main entrance) or do you go right to go through Condor Flats, around Grizzly River Run and into Cars Land through the Pacific Wharf entrance? If it is your first visit to Cars Land, we highly recommend going through the entrance at Pacific Wharf. Through this entrance you will get a first glimpse of Ornament Valley and Cadillac Range Mountains which will take your breath away. 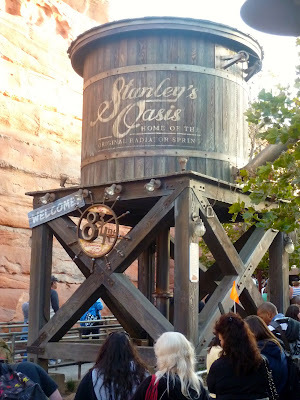 Taking up six acres of Cars Land, this E-ticket ride has something that appeals to everyone. 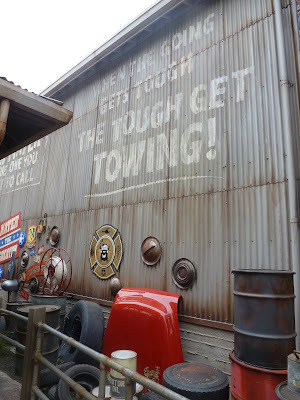 Radiator Spring Racers utilize three classic Disney attraction elements in one ride: a classic transportation ride like Autopia, a dark ride and a fast-past thrill ride. Despite the thrill ride element, this attraction is fun for the entire family. Height requirement is 42". 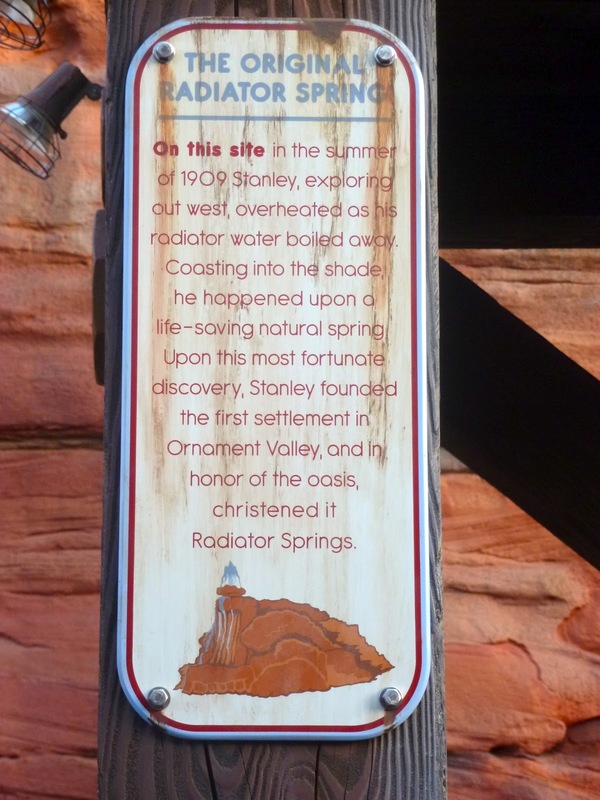 The queue leading to the ride tells the story of how Radiator Springs was founded by Stanley and his radiator cap business. Imagineers created this back story specifically for the ride. Inside the ride, guests will be amazed by the state of the art audio-animatronics. Kids of all ages will be delighted to see their movie heroes coming to life right before their eyes. 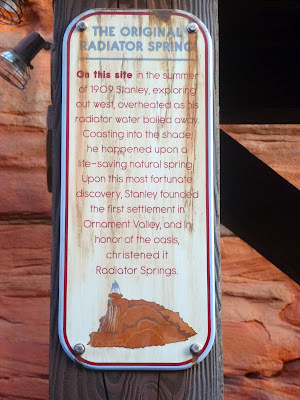 If you are interested in viewing a video of the ride, here is a great video of the full ride: Radiator Springs Racers. Do you remember Luigi and Guido from the Cars' movies? The cute little Italian vehicles that love F1 racing and whitewall tires? 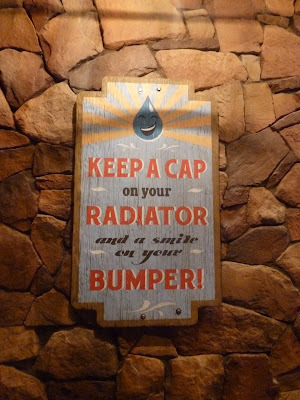 Well, they have their own ride in Cars Land that is just as fun and cute as they are. Imagineers reinvented the Disneyland original 'Flying Saucers' ride from the 1960s, to create Luigi's Flying Tires ride. Guests sit on top a large inflated tire while a cushion of air manoeuvres the ride vehicles around, periodically bumping into each other riders. And it wouldn't be Luigi's ride without a little Italian flare: Italian music plays during the ride while Italian coloured giant beach balls are passed around to add extra fun. TIP: pay close attention to the instructions from the cast member. If you don't catch what they say, there are poster boards in the loading area to remind you. Following these instructions will give you a better experience. Also, try and head directly for the middle of the platform to avoid getting stuck in a corner. Guests enter the ride via Luigi's Casa Della Tires shop. If you are familiar with 'Cars', you will feel like you are walking right into the movie. This is a great family ride, especially for the little ones. Height requirement: 32". Grab your partner and mosey on over to Mater's Junkyard Jamboree for a little tractor square dancing. 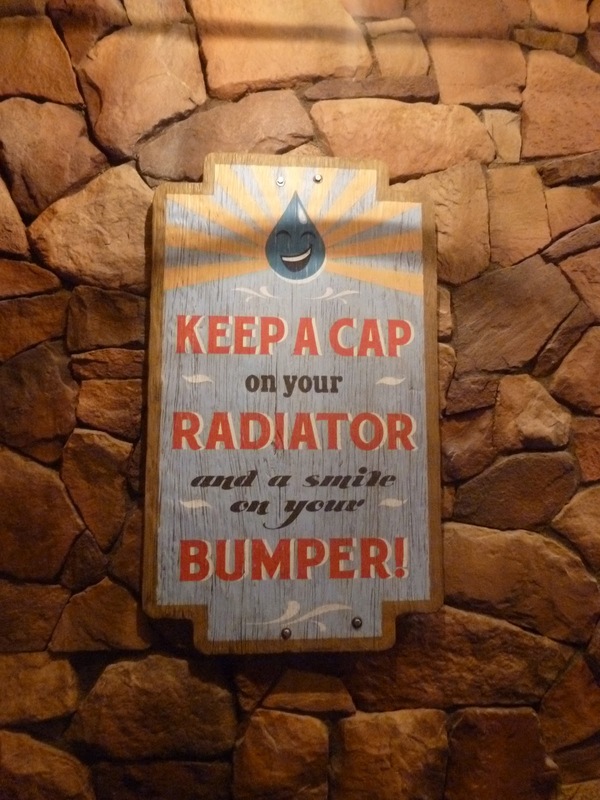 Mater has rounded up baby tractors to have a good ole time in his junkyard and you are invited to be pulled along. Guests sit in a trailer while the baby tractors "dance" in circles and weave in and out of each other. At certain turns, the trailer gets whipped around and creates a surprising thrill factor. We were pleasantly surprised by the excitement of this ride and you will be too. Height requirement: 32". One of the best aspects of this ride is the original soundtrack sung by yours truly: Mater. Make sure you listen closely to the words as they are hilarious! Mater even provides the safety instructions in both English and Spanish. We are pretty sure we heard the word burrito a few times during the Spanish instructions. While guests enter and leave the ride, Mater cracks jokes to entertain his guests: "One of the tractors got a letter from his girlfriend. I didn't have the heart to give it to him because it was a John Deere letter". Part III coming soon: Route 66, shopping and food.